Competition between OLED and LED technology has made LED manufacturers pay more attention to OLED over the past 10 years. The high costs of OLED technology make it very difficult to raise the penetration rate of OLED products, but with the efforts of major manufacturers such as OSRAM and LG, as well as Chinese manufacturers' large sum of investment in OLED display sector, OLED lighting is growing rapidly thanks to the R&D experience and manufacturing equipment from the display industry. Coupled with the public’s increasing awareness of environmental protection, consumers now have higher aesthetic requirements of lighting that combines life and art, so white OLED lighting is likely to become the star of next generation lighting. Currently, automotive lighting is reported to be the most promising and most mature application market for OLED lighting. In fact, with the latest integration of LED technology, lighting has become a significant feature of cars with potential value rather than a basic function of vehicles, and OLEDs have the real potential to differentiate themselves from LEDs and can provide new added values. The BMW M4 GTS, introduced in 2016, is the first commercial vehicle to incorporate OLED technology in taillights. 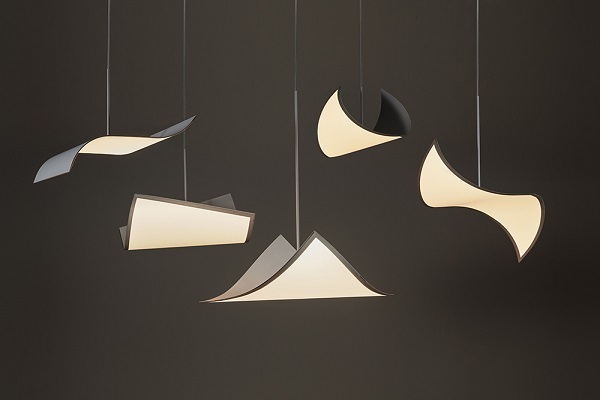 Apart from automotive market, OLED lighting manufacturers have also aggressively explored the sectors of traditional lighting such as commercial lighting and workplace lighting. In addition, OLED technology must also combine several niche markets, including medical lighting and embedded lighting, in order to realize economies of scale and to reduce costs. According to LEDinside, the size of global OLED lighting panel market has reached about US$153 million in 2017. China’s OLED display industry is estimated to see production capacity expansion in 2018, substantially improving the yield rate in OLED industry and lowering the costs. OLED lighting will also have chance to improve the performance-cost ratio due to the entire market’s status quo. Hence, the size of OLED lighting market is expected to reach more than 1.1 billion by 2020. OSRAM announced the closure of its OLED display factory in Malaysia in July 2007, shifting its focus to OLED lighting applications. In the past 10 years, OSRAM not only released OLED lamps, but also became the industry pioneer of automotive OLED lighting. Companies, including BMW and Audi, released cars embedding OLED lighting in taillights during 2015 and 2016, and many of the OLED lighting components are supplied by OSRAM. LGD continued to deploy in OLED segment in 2017 and initiated large-scale investment in the field of display. At the same time, LGD also actively approached BMW regarding the sales of OLED lighting products. It is reported that LGD will supply products including taillights and interior lighting components to BMW. In addition, LGD also unveiled its new OLED brand Luflex at the end of 2017 and announced that Luflex will sell its OLED lighting products in the future with automotive application as its top priority, followed by commercial lighting and lighting manufacturers. As for the future, LGD aims to be the largest OLED lighting brand worldwide. GE started the OLED project since 2010, and its global R&D Center claimed to make a "major breakthrough" in white OLED during the joint development with Konica Minolta. It is reported that their white OLED products achieved a luminous efficacy of 56 lmz/W, using solution-based coating materials, which is an important condition for making OLEDs to lower the costs. 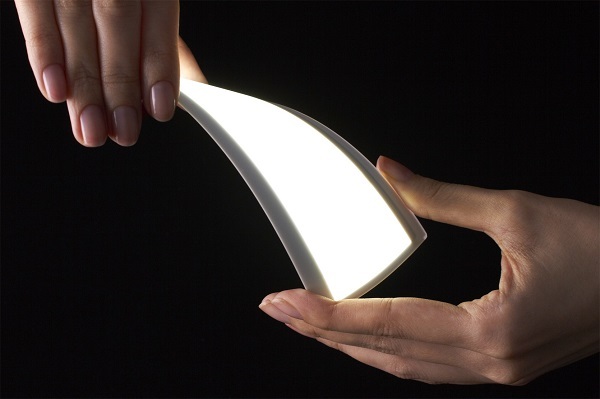 GE and KM then launched the first flexible OLED lighting product in 2011. OLEDWorks acquired Philips' OLED light source components business and associated intellectual property rights in April 2015, and is currently manufacturing panels for low-capacity amber lighting in the United States and Lumiblade panels in Germany. Konica Minolta and Pioneer Corporation announced the merger of their OLED business units in March 2017, and established a new 50:50 joint venture Konica Minolta Pioneer OLED on June 1. Pioneer also exhibited an automotive OLED lighting system in 2018 CES. Yeolight technology is a company separated from Visionox in May 2015 with a focus on OLED lighting manufacturing. Visionox was initially an OLED project group in Tsinghua University, and was established as an OLED company later. Visionox is now one of the leading OLED manufacturers in China as part of Kunshan Govisionox Optoelectronics Co., Ltd (GVO). It mainly focuses on lighting products, including automotive and general lighting. With the development of LED in lighting industry going mature, the costs continue to decline, so OLED products no longer have opportunities for price war. The only breakthrough will be high end designs such as area light source, no blue light hazard, and flexible/foldable products, which help OLED avoid direct pricing and performance competition with LED products. Current investment in the OLED display sector has been growing, but OLED lighting has lower technology requirements compared with OLED display, presenting promising opportunities for OLED lighting industry. In order to reduce the investment cost of OLED lighting manufacturing, companies will make use of synergy effects of OLED display, optimize the supply chain, adopt general R&D, and partially utilize depreciated OLED display equipment.